Our Tossa de Mar and Dalì Museum Day Trip is the perfect mixture of education and relaxation, the ideal way to keep the little ones entertained and happy. Forget about the noisy and crowded city and decide to take a day trip outside Barcelona! This 8-hour day trip from Barcelona was designed for families with kids and teens. You will get a child-friendly private guide, specialized in engaging tour for kids. 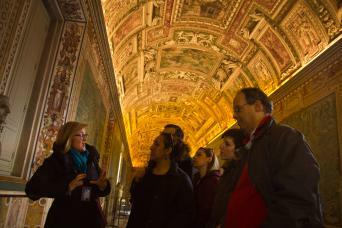 There is no way your little ones will get bored, while the parents will be free to enjoy the tour at the utmost. 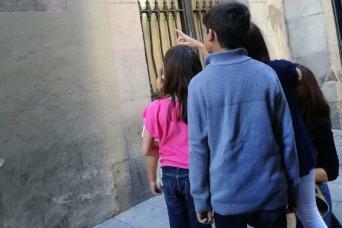 Stop hesitating, choose our Tossa de Mar and Dalì Museum Day Trip for Kids! Tossa de Mar and Dalì Museum Day Trip for Kids is the perfect tour if you want to combine relax and exploration. Take one day away from the frenzy of the bug city and discover its beautiful surroundings with a private driver and a child-friendly guide. 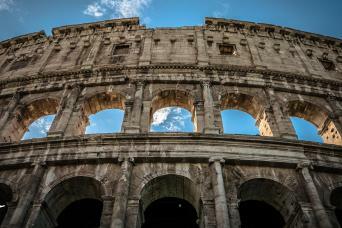 The tour is desgned to involve your kids and make the whole family have a great time altogether. Nobody is going to get bored even for a second; choose it and we assure you you want regret it! The tour starts right in the lobby of your hotel in Barcelona, where you will meet your private driver and guide. You will jump on board of a VIP minivan and you will head to the town of Figueras, home to the Dali Museum. 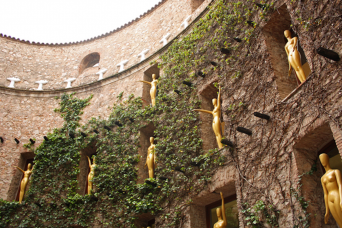 It is a museum of the artist in his hometown of Figueres, where Dalí is buried in a crypt just below the stage. Forget about wasting time in line. We will provide you with skip-the-line tickets to Dali’s Museum. Once inside, your private kid-orientated guide will explain to you all about Dali’s life and his fascinating art. You will discover the surreal nature of Dali’s creative genius, who even painted some incredible pieces of art using squid ink and other weird techniques that make his work so amazing and world-famous. The Museum’s Galleries display a very big and varied collection of works by Salvador Dalí, the core of which comes from the artist's personal collection. The museum was built on the ruins of a former theater and was converted into an incredible mix of all the crazy, surreal creations made by the artist. Dali’s Museum is today the second most visited Museum in Spain, second only to the “Prado” in Madrid. From here you will make your way to the picturesque town of Tossa de Mar, where you can visit the old town with its cobblestoned streets. You will also have the chance to visit the fish restaurant frequented by Frank Sinatra and Ava Gardner! Tossa de Mar is located on the sea and it is also renowned for its nice beach. Do not forget your bathing suite, it will be fun and relaxing to plunge into the Mediterranean sea before heading back to Barcelona! This day trip offers the chance to learn about Dali’s fascinating life and works, as well as relax and meander around one of Catalonia’s beautiful gems, Tossa de Mar. If you are staying for long in Barcelona, do not miss this tour for a chance to spend the day outside of the city and see something really unique. Just contact us and book our Tossa de Mar and Dalì Museum Day Trip for Kids now!